Schedule a free vehicle inspection from Fisher Acura six months prior to lease maturity. We offer lease specials like Acura Luxury Lease Package. Browse our inventory to find the vehicle that’s right for you. Learn more about the exciting Acura Loyalty Advantage Program offered to returning Acura leasees. 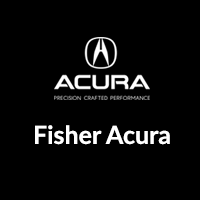 For questions, to schedule an appointment, or to test drive a new Acura, contact our team at Fisher Acura. Learn which payoff quote offer you’re eligible for today by calling Acura Financial services at 866-777-6495. Considering financing your purchase? Learn more about our competitive financing rates. Schedule a free vehicle inspection with Fisher Acura six months prior to lease maturity. Schedule free inspection of your vehicle through Acura Financial Services. Contact our team for assistance with paperwork and lease return. What will you need to return your lease? Choose to lease with Fisher Acura, and you’ll enjoy the perks of the Acura Luxury Lease Package, which includes warranty coverage, gap insurance, low payments, flexible terms and more. Already leasing with us? Be sure to check out our Acura Loyalty Advantage Program, which allows you to roll unused miles from your current term contract over to your next contract. Been driving a lot? We also forgive half of the miles you’ve used that are in excess of the your contract. Get in touch with today to find out about all the other advantages we offer leasees.